For me, bruschetta used to be a food of the past! Bruschetta made with gluten free bread just didn’t cut it. 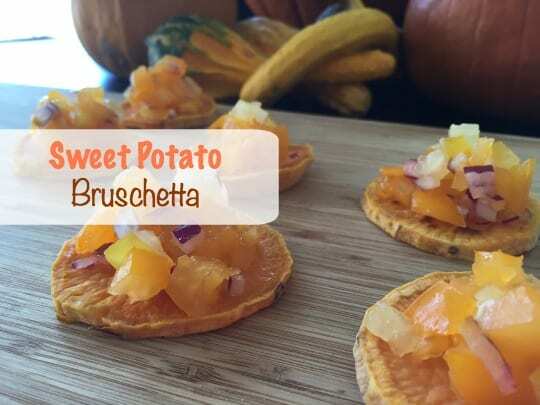 That is, until my friend Sarah made SWEET POTATO bruschetta for us at a Nutritionist Potluck! MIND.BLOWN. Needless to say, it was delicious and I decided to do a festive take on it, especially since I found orange and yellow tomatoes in the grocery store this week! I think it was meant to be. Roast the sweet potato in the oven for 30 minutes, flipping after 20. Note: You will want to do this right before serving so it doesn’t go soggy.